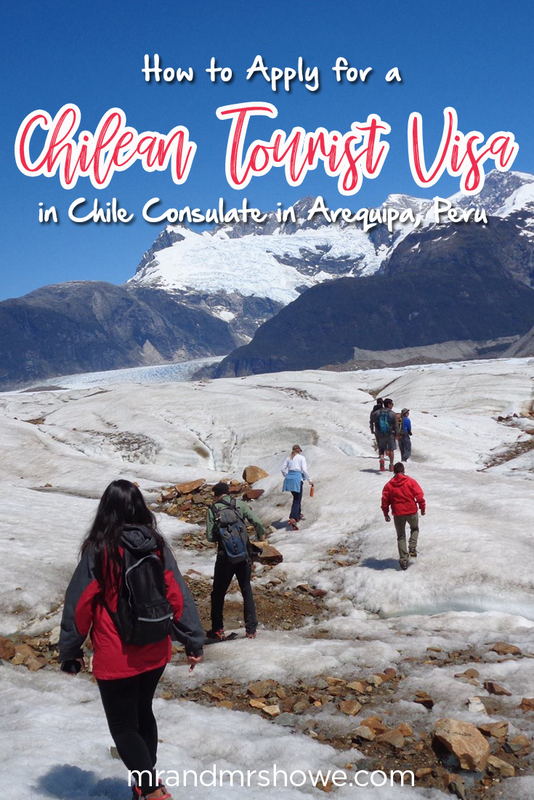 Planning to travel to Chile? 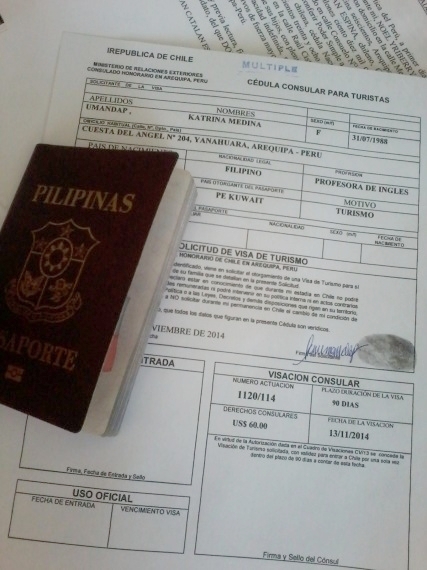 This is how I got my Chile Tourist Visa in the Chile Consulate in Arequipa, Peru. I've been dreaming about going to Chile, you can find everything there. A South American country with beautiful and diverse landscapes to offer, from the Pacific beach coast, the driest non-polar desert in the world- ATACAMA, the Las Torres del Paine in PATAGONIA, the mysterious Easter Island and the fresh seafood! But the thing is as a Filipino citizen I can only get free visa entry to some South American countries (Peru, Brazil, Colombia, Ecuador, Suriname) excluding CHILE, ARGENTINA. 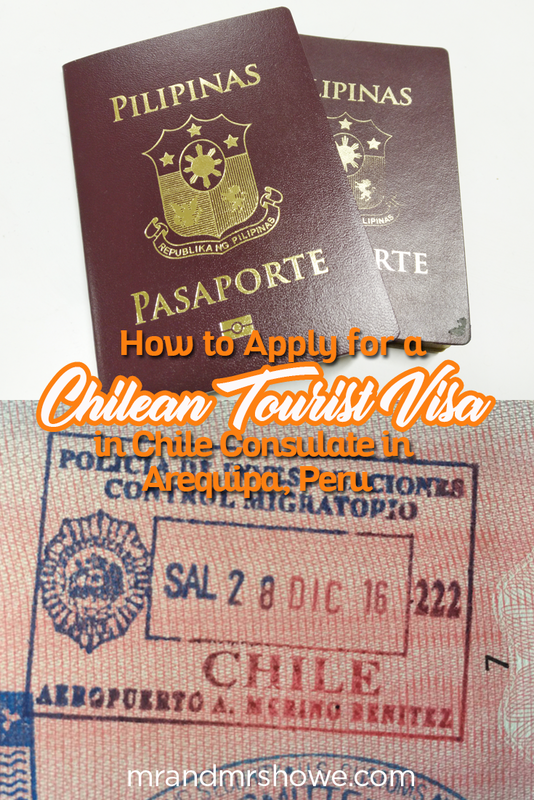 There’s no way I can go back to my home country to apply for my visa so I decided to go to the Chilean Consulate in Arequipa, Peru. This is a short article as the process is easy and direct to the point. Requirements: I only had to give him my passport but I saw some other applications there with a passport size picture, photocopy of passport and the $60 or $75 dollars fee. Bring DOLLARS, they accept Peruvian Soles but the exchange rate is different. 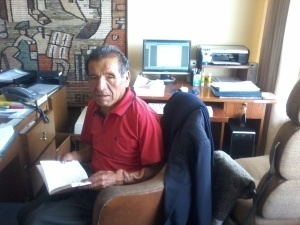 The office hours is from Monday to Friday, 10 AM to 2 PM! 1. Go to the Honorary Consulate, it’s located in Calle Mercaderes 212. The building is called Galeria Gameza then go to the 6th floor (There’s an elevator so don’t worry). If you’re coming from the Plaza de Armas, walk towards the street you’ll pass the Starbucks and you’ll see the building on your right side. It’s an old building. 2. Knock on the door (literally), it’s a small office room. If there’s someone else, wait for the Honorary Consul and chill. Related Article: Looking for affordable accommodation? Check out our Ultimate List of Best Hostels in Chile. 3. There he goes, he will ask you where you’re from, how many days you need (30, 60 and maximum 90 days) and whether you want a single or multiple entry visa. He will check his list of requirements and fees per country. 4. 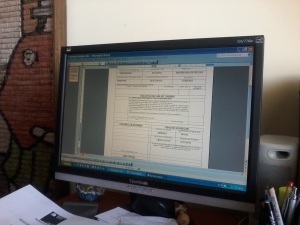 He will type your application form then Voila he’ll tell you to come back after 2 or 3 days! In my case, I applied Thursday lunch time, got it Tuesday! SO if you apply on Monday then most probably you’ll get your visa the latest on Thursday. When you take your passport back, he will give you the original application form with his stamp, to show just in case you’ll cross the border by land.